Our fight today to improve the lives of working families and to achieve social and economic justice is a struggle with deep roots into every point of the cultural and ethnic compass. 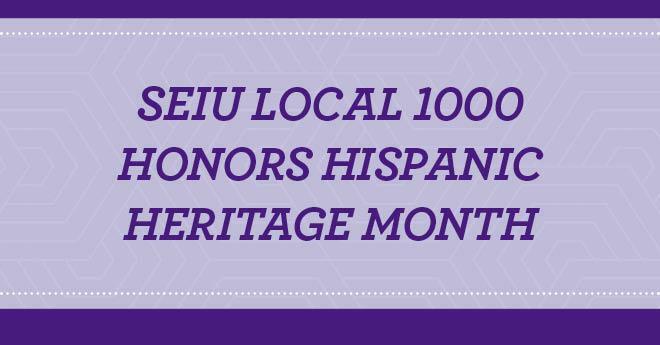 The working conditions we enjoy today—and endeavor to improve for ourselves and future generations—owe a deep debt to our brothers and sisters in the Latino labor community. 50 years ago this month, two great labor leaders, César Chávez and Dolores Huerta, helped to organize one of the most successful strikes in labor history, the Delano Grape Strike. Filipino farm workers, members of the Agricultural Workers Organizing Committee, walked off the job at table grape farms in the area to protest low pay and poor working conditions. Recognizing common goals, they reached out to Chávez and Huerta, co-founders of the National Farm Workers Association, to build a stronger coalition in their fight for dignity and respect. Chávez led workers on a 300-mile march from Delano to Sacramento to raise awareness for their cause, and later, urged consumers and supermarket chains to boycott table grapes. America responded and showed their support by refraining from buying table grapes. After five years of nonviolent strikes, boycotts, marches and fasts, the United Farm Workers Organizing Committee reached a collective bargaining agreement with table grape growers, resulting in better pay, benefits and working conditions in 1970. The United Farm Workers Union was formed in 1972, and just a year later, Chávez and Huerta led another successful boycott against grape growers that gave birth to the California Labor Relations Action of 1975, empowering farm workers to form unions and collectively bargain for better wages and working conditions. Then-governor Jerry Brown signed that bill into law, and just last week, signed another legislative milestone granting agricultural workers the same right to overtime pay as other Californians.